Guinea, Gabon, and Indonesia all have significant populations of apes within their borders, overlapping or bordering with important mineral, timber, or agricultural resources. In response to political concerns, both national and international, each has begun to take biodiversity into account in planning future development. As case studies demonstrate, the results have been mixed. Guinea, with one-third of the world’s reserves of bauxite, was the subject of a study that recommended a national biodiversity strategy focused on chimpanzees. This would supplant the piecemeal approach of environmental-impact assessments specific to one project and take cumulative regional effects into account. Another recommendation was to establish an independent conservation trust fund supported by industry, foreign governments, and NGOs. The idea of a national strategy, with clear and predictable requirements for mitigation and offset, was welcomed by international mining companies. But both industry and the national government indicated preferences for a strategy to address biodiversity broadly, rather than one focused on chimpanzees. Many issues remain to be worked out but Guinea could become the first nation to develop a comprehensive biodiversity offset strategy for endangered and critically endangered wildlife. In Gabon, President Ali Bongo Ondimba was elected in 2009 on a platform emphasizing sustainable development. With an eye toward replacing declining oil production with revenue from ecotourism, Gabon had already established a network of national parks and wildlife reserves covering one-fifth of the country, which required canceling 13,000 square kilometers of logging concessions. Lobbying by international wildlife organizations was an important factor in the creation of the protected areas. The rate of forest loss in Gabon is negligible, although some species, including gorillas, still suffer from illegal hunting. 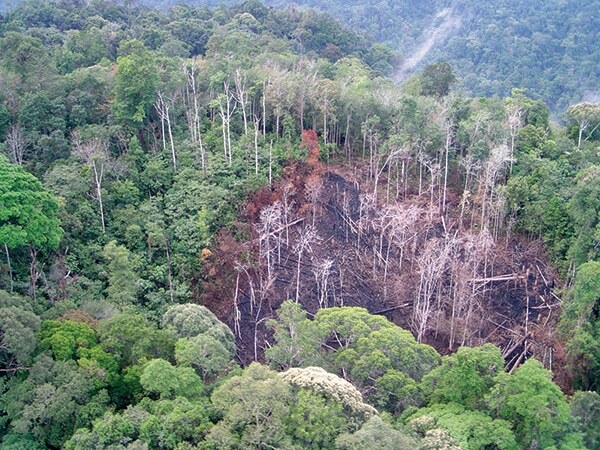 Indonesia has one of the highest rates of deforestation in the world. Over the past 20 years, orangutan habitat has shrunk from 130,000 square kilometers to 90,000 square kilometers, and an estimated 50,000 apes have been lost. In 2011 the government announced a two-year logging “moratorium” on conversion of undeveloped land, which it extended in 2013. However, the proclamation had many exceptions, and implementation has been weak and inconsistent. There is no evidence that it has slowed the loss of forests or improved the conservation of orangutans. The government’s pledge has not translated into effective policy. Although every situation is unique, considered together these examples reaffirm that environmental protection must be a central component of economic development.